Free Shipping Included! 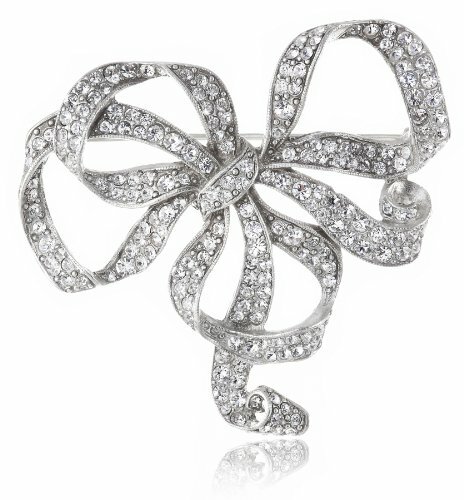 Save 1% on the Ben-Amun Jewelry Swarovski Crystal Bow Brooch by Ben-Amun Jewelry at SCRHI. MPN: 05523. Hurry! Limited time offer. Offer valid only while supplies last. Part of the Ben-Amun Classic Pearl and Crystal Collection, the brooch is an antiqued silver-tone bow brooch encrusted with Swarovski Crystal round-cut.